It’s only been a week since GNS3 1.0 was released and it’s already been updated to 1.1 so in this post I have Ubuntu 14.04 LTS with the latest updates and its time to set up GNS3. 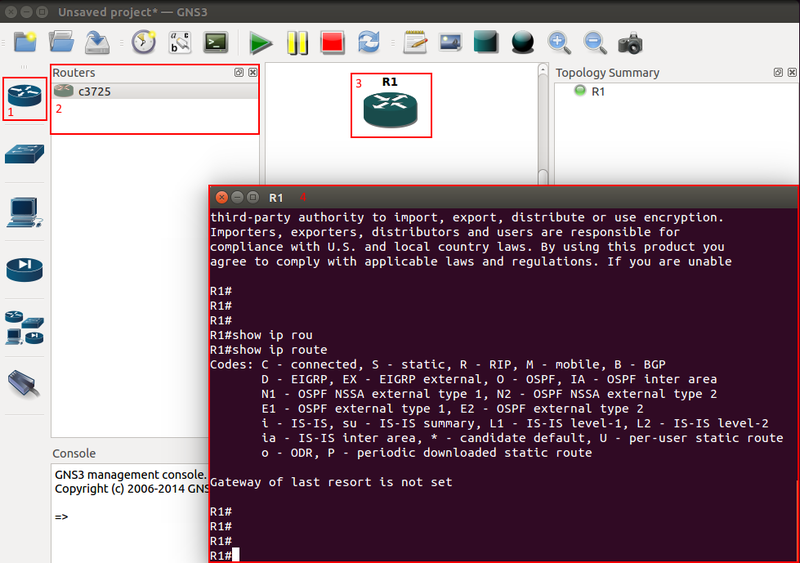 GNS3 is an open source tool that helps network professionals run a virtual network right on their computer, GNS3 is not a simulation program but rather an emulation program. So if you wanted to test a configuration change but did not want to run it on production you can run it in GNS3 instead. This gives network professionals testing without touching any physical hardware or purchasing that expensive test lab for certification studies. Let’s get started. Like I mentioned I have Ubuntu 14.04 LTS and installing GNS3 in Linux can be a little difficult if you are just not that familiar with it. I’m giving credit to Chris Welsh as he wrote out a nice script that installs everything you need to get started using GSN3, so installing it’s pretty easy. 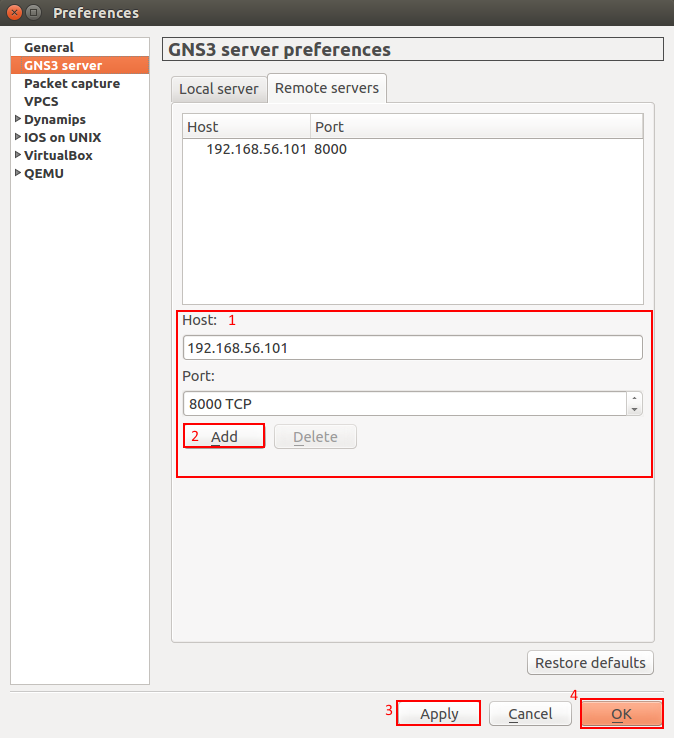 Check out the post on GNS3 Jungle: Installing GNS3v1 on Linux. Follow those instructions and you should have GNS3 shortly. 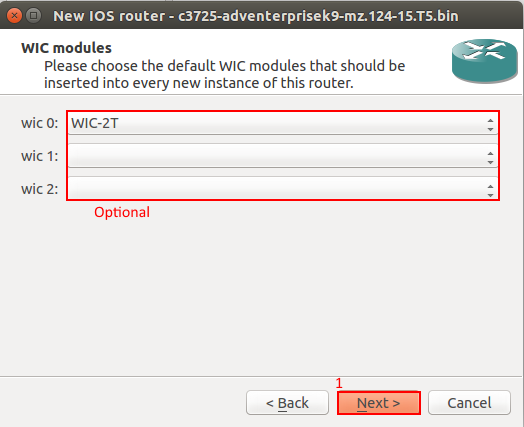 Once installed you need to have router images handy or router platforms that can run in VirtualBox like the CSR 1000v, remember GNS3 is the framework or ‘glue’ that makes running these images possible as well as connecting them together to form a virtual network. If you have Cisco router images handy you can run them in GNS3 now, check out the compatibility list here: Hardware emulated by GNS3. It also worth noting that most of these images are older and are end of life from Cisco’s perspective. You must bring your own Cisco router images to run into GNS3.To be organized you should create some folders that store IOS images, If you installed GNS3 with Chris’s script it created some folders in your home drive, GNS3->Images->IOS store your router image in that folder. Edit->Preferences, a new window opens. 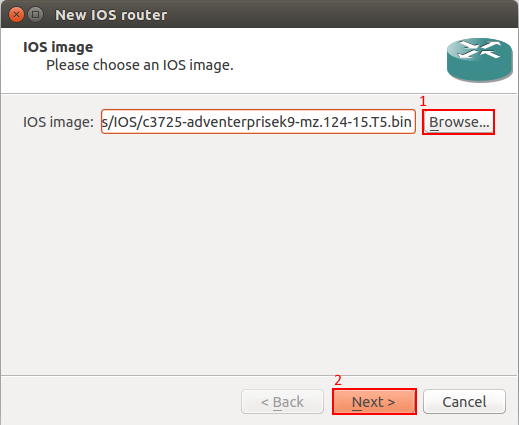 Go to Dynamips, select the down arrow, IOS routers and select new. A new window opens, browse to your router image, click next. Verify the platform and name if you want, (I’m just accepting the defaults) and select next. 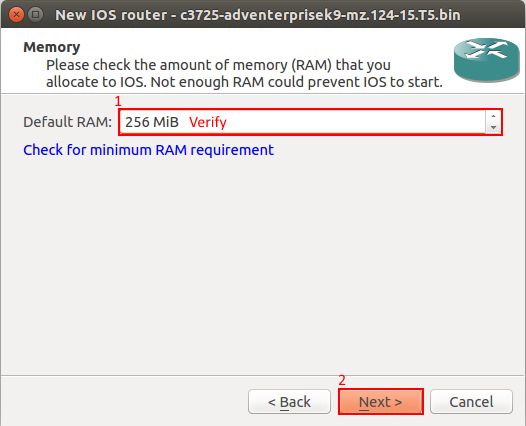 Verify what the image needs for RAM, following the link to Check minimum requirements., select next. 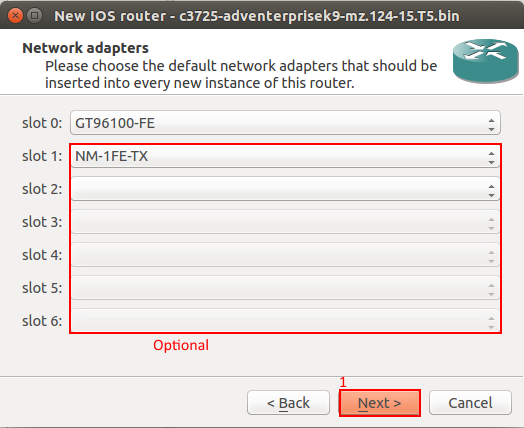 Choose what network adapters you want on the router, this could vary depending on what you are testing, select next. Choose what WIC modules you want if any, again this could vary depending on what you are testing, select next. Close out of the Preferences Window by selecting Apply followed by Ok to save changes. 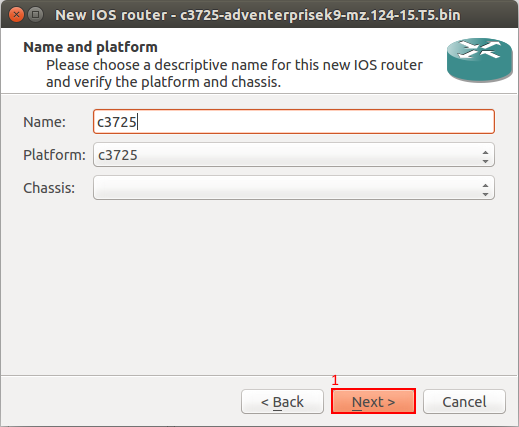 You now have loaded a Cisco Router into GNS3! EDIT: 11/10/2014 – If you are on Windows use the following steps below to configure IOU. 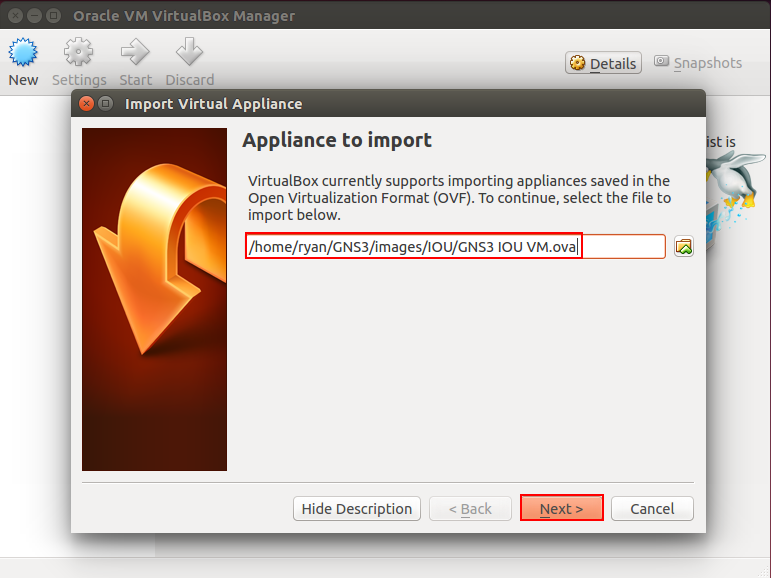 Linux users if you used Chris’s script IOU is already installed without the need of VirtualBox/VMware see the following comment. Another cool feature in GNS3 1.1 is IOU which is enables switching, just like the Cisco router image you must supply your own. 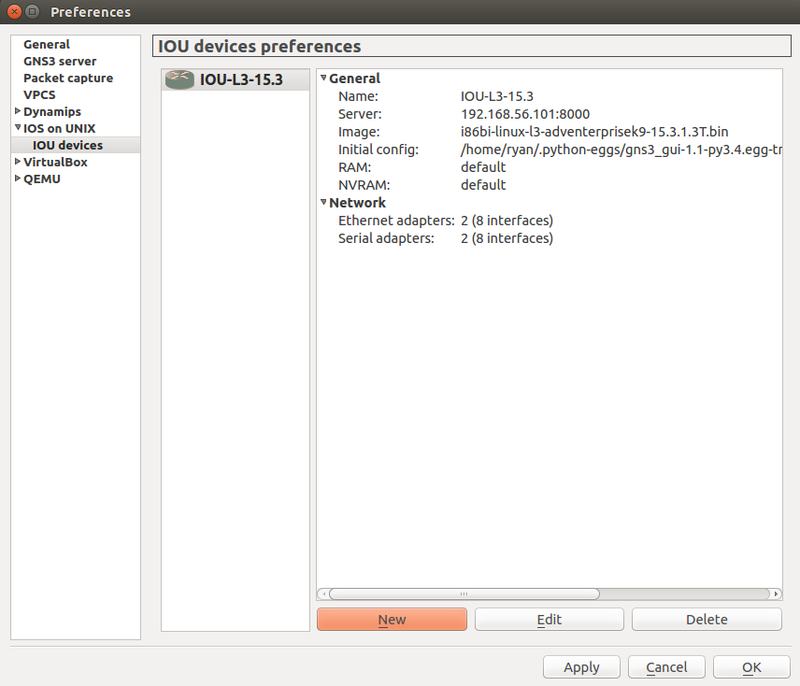 To to get GNS3 setup to support IOU we need to download the latest GNS3 IOU and import that into Virtualbox/VMware. which was installed automatically thanks to Chris’s script. You can download the IOU VM at GNS3’s Sourceforge page: GNS3 IOU VM and save the ova file into the GNS3->Images->IOU folder. 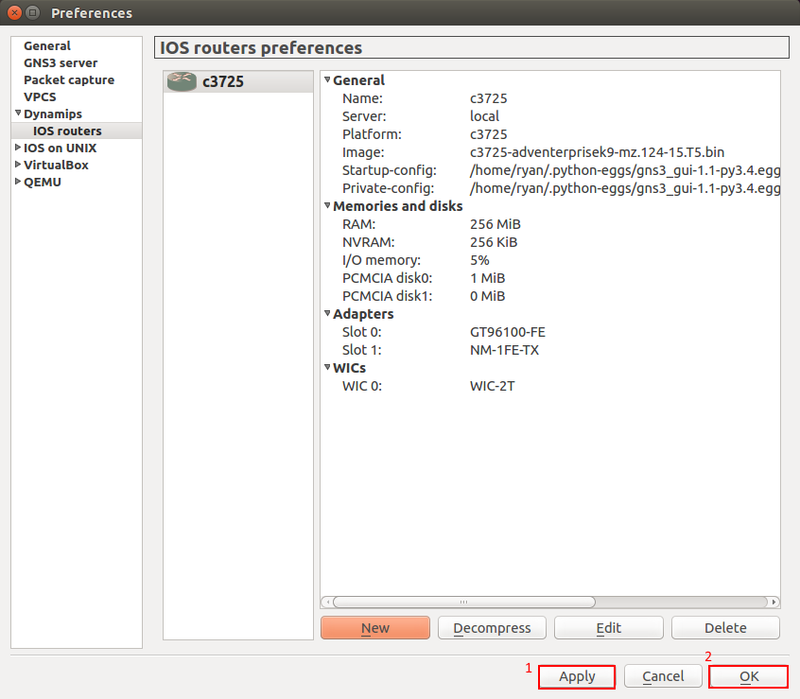 Like mentioned IOU or Cisco IOS on Unix is also a good technology that is available on GNS3. Just like supplying the router image you also need to apply the IOU images as well as an IOU license file. IOU is popular because of the available switching (Layer 2) as well as IP routing (Layer 3). 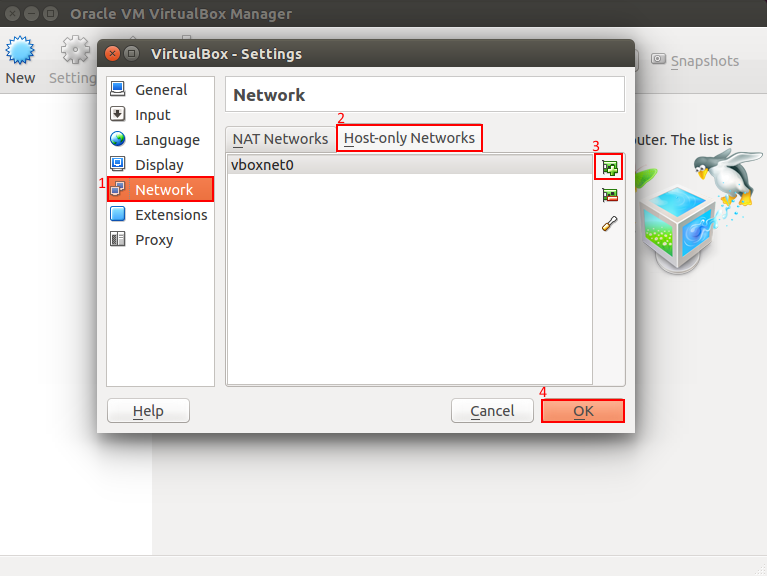 Open up Virtualbox and go to File->Preferences, a new window will open, go to network option->tab over to Host-Only-Adapters, add a host only adapter and select Ok. 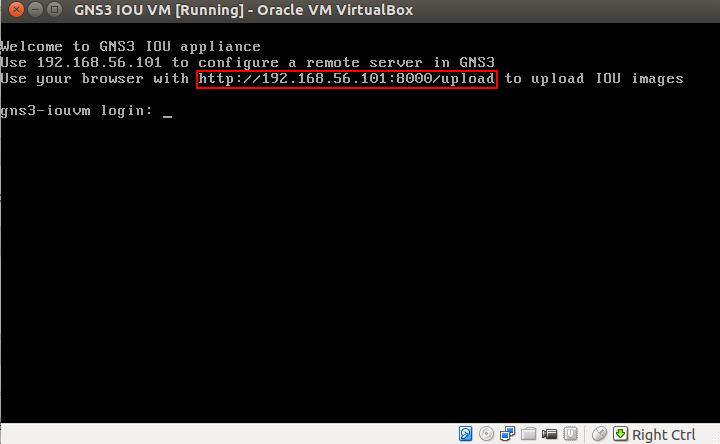 In Virtualbox and go to File->Import Appliance, browse to the GNS3 IOU VM that you downloaded and select Next. 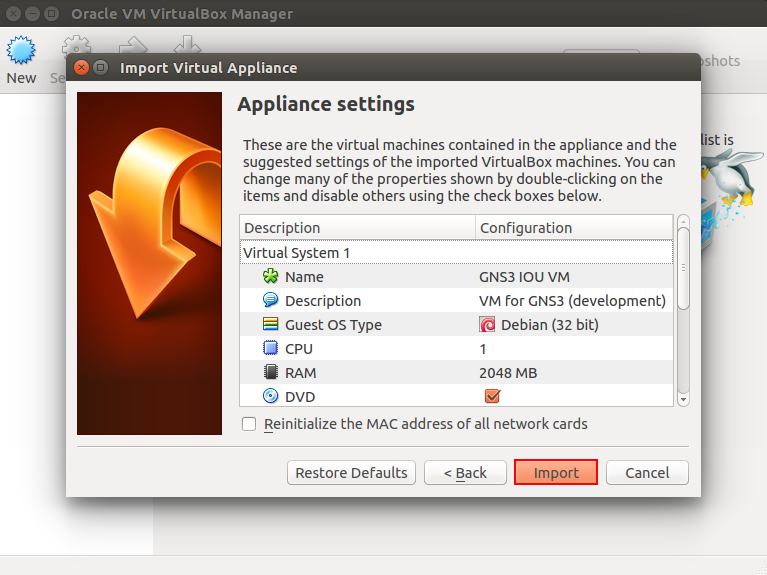 Accept the defaults by selecting next, and when finished importing start-up the GNS3 IOU VM. To verify the GNS3 IOU VM is working open up your browser and type in the IP address of the VM, such as the IP address I have is 192.168.56.101. So in my browser I would type the following: http://192.168.56.101:8000/upload and should get a webpage like below. 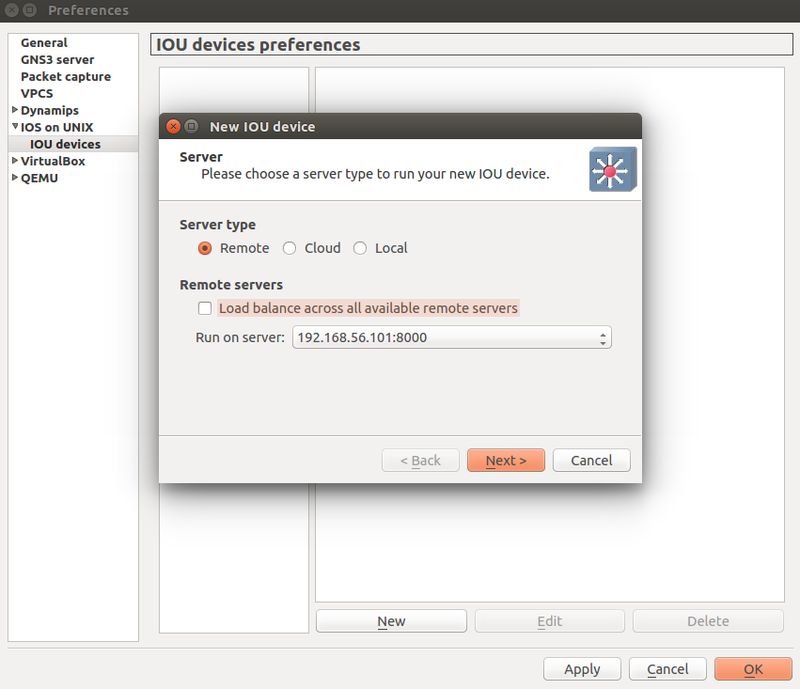 While in preferences go to GNS3 Server->tab over to Remote Servers and add the IP address of the GNS3 IOU VM. We now need to upload our IOU image, again this is supplied by you and not GNS3. 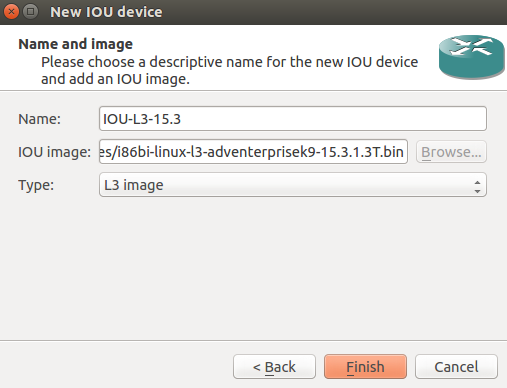 Just to be organized, I would put your IOU images in the IOU folder under the GNS3->Images->IOU path.Go to the GNS3 IOU VM webpage and select Browse followed by selecting upload. Depending on the size of the file it may take a couple of minutes. 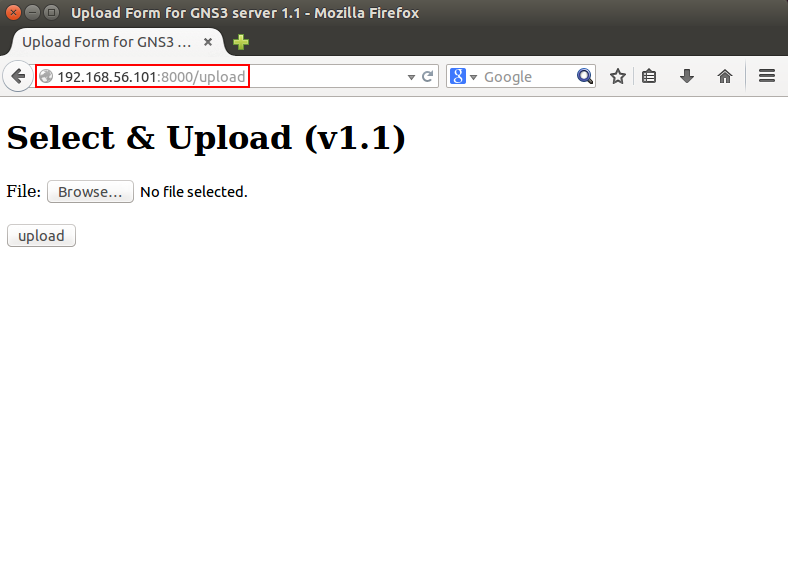 Once the upload is complete you will see your file in the GSN3 IOU VM and a path to get to it, keep note of that path. 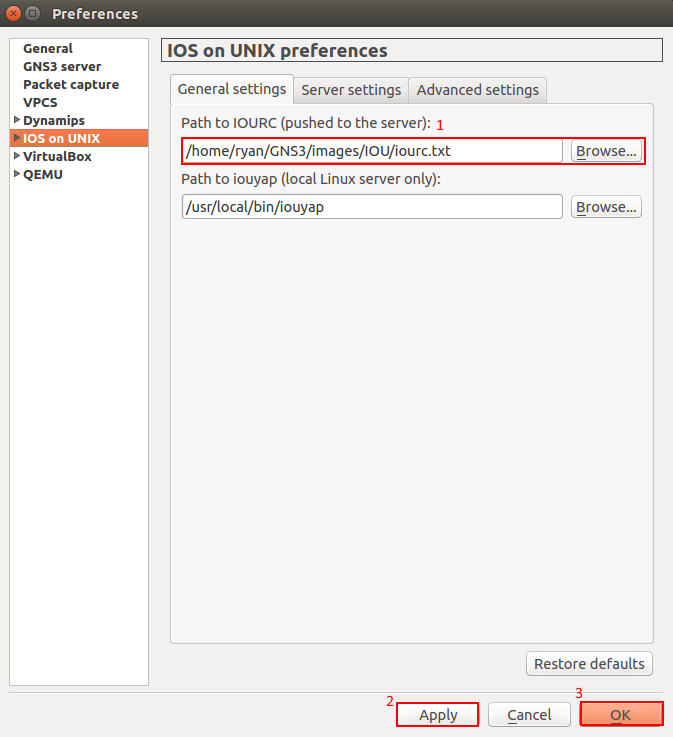 Go into GNS3 Preferences->IOS on UNIX->tab over to Server Settings and uncheck Always use the local server. 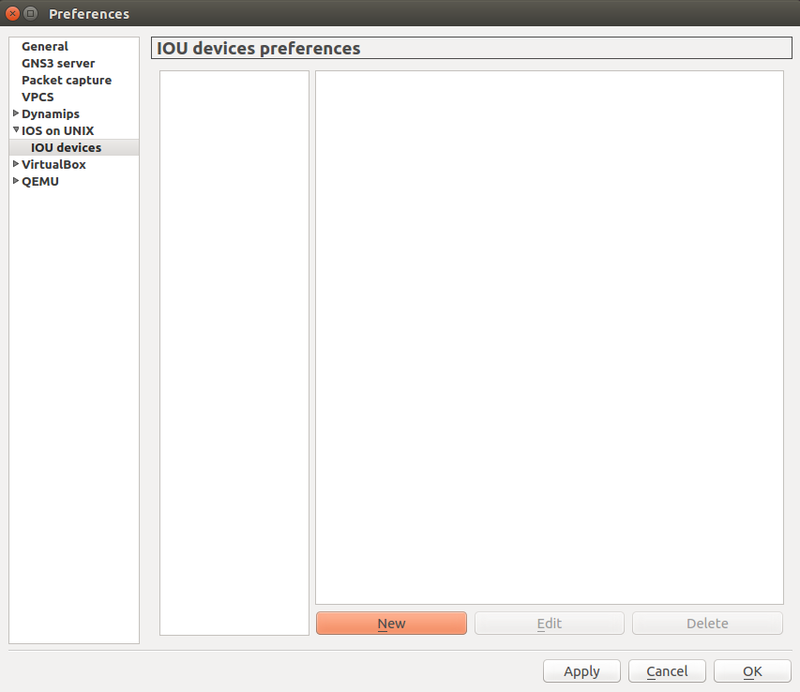 While we are under IOS on UNIX hit the down arrow and select->IOU Devices and select new, a new window opens. In our example this is a remote server, select next. Type in a name that is familiar to you, the path to the IOU image that you kept note of, and if the IOU image is a L3 or L2 image, select finish. Verify it and apply it. 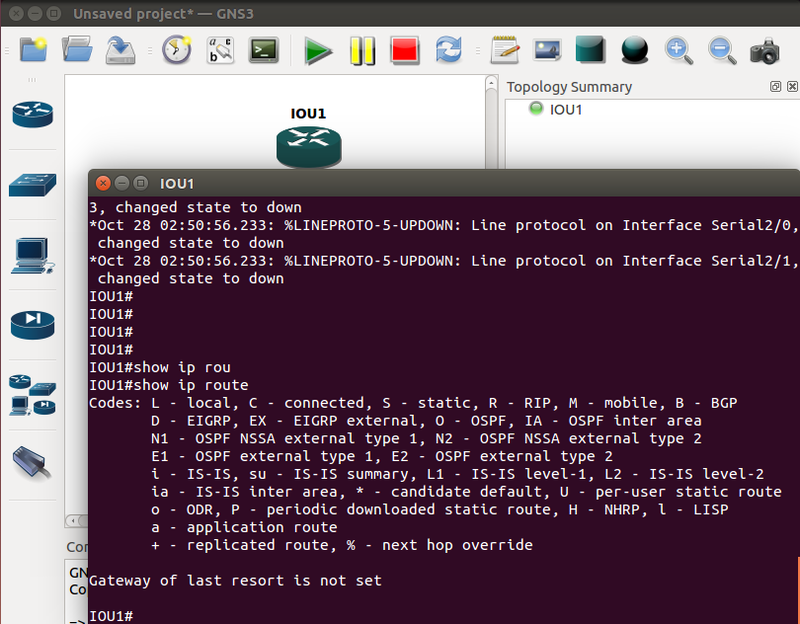 Believe it or not but that’s it, Cisco IOU is running now running in GNS3. I hope this tutorial is helpful and like always comment below if you have one also be sure to also check out the links that I mentioned as its all of helpful material. 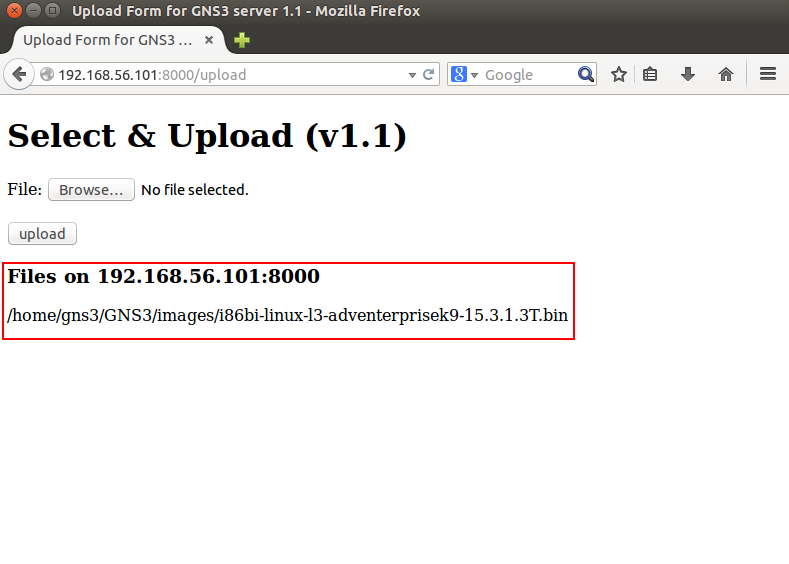 So…what are you loading into GNS3?